Are you looking for proven ultrasonic sensors at the best prices? We recommend the products from the ultrasonic sensor specialist microsonic. Ultrasonic sensors from microsonic allow you to e.g. 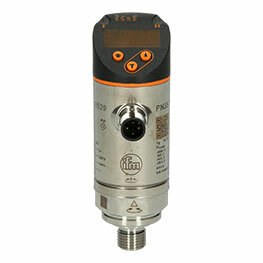 position products reliably, detect objects and measure levels. The company microsonic was founded in 1990. Today the company located in Dortmund, Germany is an internationally known and valued specialist in the area of ultrasonic sensors. A whole lot of competence and know-how is used from findings and principles found in nature - where ultrasound plays an important role in many areas - to adopt to automation and industrial engineering, so that individually thought-out solutions are provided. microsonic develops and markets components and complete solutions for automation processes and other applications of ultrasonic sensors. The company is continuously registering new patents and is widening its product range to lead the industry with innovative ideas. Engineering, precision and know-how - these ideals are focussed on. There are many items from microsonic in the range of Automation24, the internet mail-order business with favourable prices for a large selection of automation technology and accessories. The range covers simple accessories such as the MW-ZWS 2 angle bracket or the MW-ZWS 3 angle bracket as well as high-tech products such as the mic+25/DD/TC ultrasonic sensor. 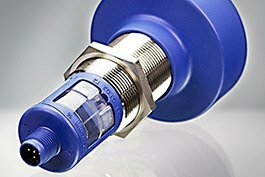 If you want to use components from the field of ultrasonic sensors for your automation process, products from microsonic are always a good choice. At Automation24 you can find information about them, order them easily and have them delivered to you as fast as possible. Take this opportunity and order articles from microsonic at Automation24 right away.